Hippity Hoppity, Easter's on its way! 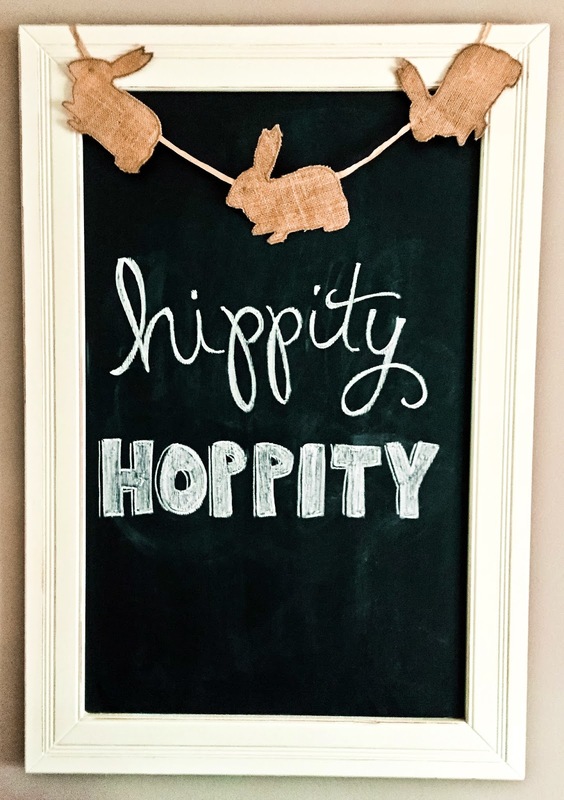 I spent the morning taking out our spring decor and of course making festive chalkboards. I've also been browsing for new Easter goodies! I think I totally need these plates and these stickers. They are just so bright and cheerful. I'm also on the lookout for basket stuffers for little man. I think Pete the Cat: Big Easter Adventure needs to be in his Easter basket this year! He just loves spotting "keeety-cats" and I think he'd get a kick out of the book. These jams are super cute for a tiny guy, too! And little man loves sidewalk chalk, so these egg shaped ones are perfect for Easter. Finally, I found these adorable bunny ears. We already have several sets of bunny ears, but I'm just loving the trio of colors here. Plus, they ship free all this week so I might just have to add them to our stash. I mean, you can never have too many pairs of bunny ears, right? What's on your Easter wish list? ?